Green Leaf Lawn uses only the highest quality professional products and all of our Tulsa Christmas and holiday lights installations. We do this so you can be confident that your home or business will be the envy of the neighborhood. Tulsa Holiday lights enhance the season for everyone, so knowing that you can rely on the performance of every bulb is important! That is why we use only the latest and best products so your home shine throughout the season. Every detail of installation is important to us, from our first visit until the takedown in January. Let us take the hassle out of the holidays while you enjoy the magic of your beautiful new Tulsa Holiday Lights provided by Green Leaf Lawn Service. Our numbers 918-640-6405, and we look forward to speaking with you today about your amazing new holiday lights needs. A professional holiday lighting job starts with a good design, and the end result always shows. Straight lines, bold colors, full greenery, and no obstructive wires and extension cords can be expected whenever you use Green Leaf Lawn. Let us design and estimate your holiday lighting project by using our expertise when it comes to these matters. When you like the look of your home or business dressed in lights, we will provide you with a competitive price that includes all of the products, equipment, and labor to get your lights installed and removed by our professional installation and takedown crew. 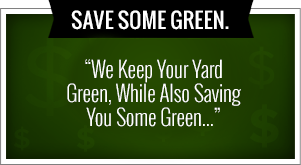 Call for a free estimate today at 918-640-6405. 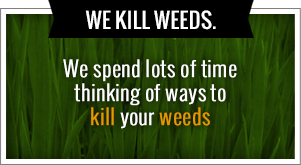 You can also visit our website, www.greenleafweedcontrol.com, for more information on our company and how we service the people of Tulsa. Installing holiday lights can be a long and dangerous job. Let our crew trained professional installers work on the ladders to make your installation come together down to the very last detail. You will be absolutely surprised at how easy we can make things look great. There’s no need to worry and we will show you how the lights work so everything is perfect and ready for when you’re planning that party or ready to sing those Christmas carols. When the holiday lights have passed, our crew comes back to takedown, organize, and store your lights in a safe place ready for the next year’s enjoyment. We also do a variety of services for commercial and residential needs. Green Leaf Lawn has been involved in commercial maintenance for many years and some of our clients include Outback Steakhouse and Mathis Brothers Furniture. Our maintenance crews go above and beyond to make sure that your commercial properties look professional and well kept. We also do residential jobs and no job is too small for our maintenance crews. Whether it’s weekly mowing or planting flowers in your yard, we can make your backyard look truly great year-round. Give us a call today or visit our website, www.greenleafweedcontrol.com, for more information about our company and what we can do for your home and business. Use your ideas or put our expert holiday lighting Tulsa design team to work for you this Christmas season. We want to give you a Christmas display that will make your home or business send out and be noticed and appreciated by all the senior Christmas lighting display. This year you can take the effort out of creating a professional holiday lighting display and have our team of experts to the outdoor decorating for you. We offer the solution to all of your decorating need so you can enjoy the holidays with your friends, family, and loved ones. From creating an attractive display to putting up your decorations to taking them down after the season, Green Leaf Lawn does it all. Our numbers 918-640-6405, and we look forward to servicing you and your family this holiday season. Tulsa Holiday Lights around your home or business should be fun and inviting, but during this hectic and busy time of year, decorating all too often becomes a chore that helps to take away the joy of the season. When you have us install your holiday lighting, will help to keep the Mary this of the season as you sit back and enjoy the creation of festivities. We can use the Christmas lights and displays that you already have, or we can provide you with new, energy efficient LED lights to create the holiday decorating scheme that best suits your needs. We want to create a festive display that you’ve always wanted for your home or commercial buildings and landscaping. No Tulsa Holiday Lights job is too big or too small for us. We will decorate whatever needs to be decorated and whether it be buildings are trees, displays or large expanses, will put them up and take them down at the beginning in the end of the holiday season this year. Our Tulsa Holiday Lights installers work throughout the entire Tulsa Metro area and can even service companies and the surrounding cities. When you hire our holiday lights experts to install your Christmas lights, will make sure the job is done right the first time. We keep your safety is a top priority when installing lights. Will never ever load any circuit which creates a fire hazard. Will never leave wiring on the ground where someone could possibly trip or fall over it. We want your holiday season to be safe and worry free. In fact if you have a problem with your lighting after it’s been installed by us, let us know and we’ll come out and get everything working again. We will be help you get the amazing home you’re looking for this holiday season. It’s more affordable than you probably thought possible, and it’s provided by a team that truly loves the city of Tulsa. We’ve been doing this for many years and we love seeing the smile on people’s faces when their holiday lights are lit up by the experts here at Green Leaf Lawn.